My name is Michael Sean Gallagher. I am a Lecturer in Digital Education at the Centre for Research in Digital Education at the University of Edinburgh. I am Co-Founder and Director of Panoply Digital, a consultancy dedicated to ICT and mobile for development (M4D); we have worked with USAID, GSMA, UN Habitat, Cambridge University and more on education and development projects. I was a researcher on the Near Futures Teaching project, a project that explores how teaching at The University of Edinburgh unfold over the coming decades, as technology, social trends, patterns of mobility, new methods and new media continue to shift what it means to be at university. Previously, I was the Research Associate on the NERC, ESRC, and AHRC Global Challenges Research Fund sponsored GCRF Research for Emergency Aftershock Forecasting (REAR) project. I was an Assistant Professor at Hankuk University of Foreign Studies (한국외국어대학교) in Seoul, Korea. I have also completed a doctorate at University College London (formerly the independent Institute of Education, University of London) on mobile learning in the humanities in Korea. My research focuses on the critical examination of the mobilities exhibited by groups and sectors in flux and how technology is used to both structure and manage these mobilities. Post-Brexit, with greater concentrations of international students and refugees, with the unbundling of labour and education, with a global edtech regime emerging in developing contexts largely unmooring local educational expertise and displacing higher education as a vehicle for social mobility, this research focus provides a framework to investigate these movements holistically and to begin to address the larger intractable challenges that may stunt educational progress in development contexts. I routinely employ mobilities frameworks and sociomateriality to identify “the distribution of agency between people, places, and material assemblages of connectivity” (Sheller, 2017) and the role digital education might serve in an increasingly unbundled intersectional environment. I am currently a consultant on several learning design projects, including the World Bank’s Open Learning Campus, where I work on their open courses, conduct research on open learning and digital education, and contribute to learning analytics and course design. I was a facilitator of the MobiMOOC course and a member of the MobiMOOC Research Team. I am a Fellow in the Higher Education Academy (HEA), in keeping with the requirements of the UK Professional Standards Framework. Previously, I was the Education & Outreach Manager, Research & Learning Environments at a very large academic database. In this capacity, I focused on the creation of scholarly networks of activity surrounding the sciences. I also conducted much of our organization’s social media presence. Formerly, I worked for Aluka, a not-for-profit digital library of scholarly materials by and about Africa. In that capacity, I worked often throughout Africa conducting workshops on information literacy and online research. I have a background in education, having worked as a teacher for many years both in the United States, Korea, and the UK. I have a Masters in Library and Information Science degree (MLIS), with a concentration in the management of digital information. I also have a Masters in Education (digital education) at the University of Edinburgh. My personal CV, in case you are interested, as well as my Panoply Digital one. I am an American by birth, but an expat by choice. 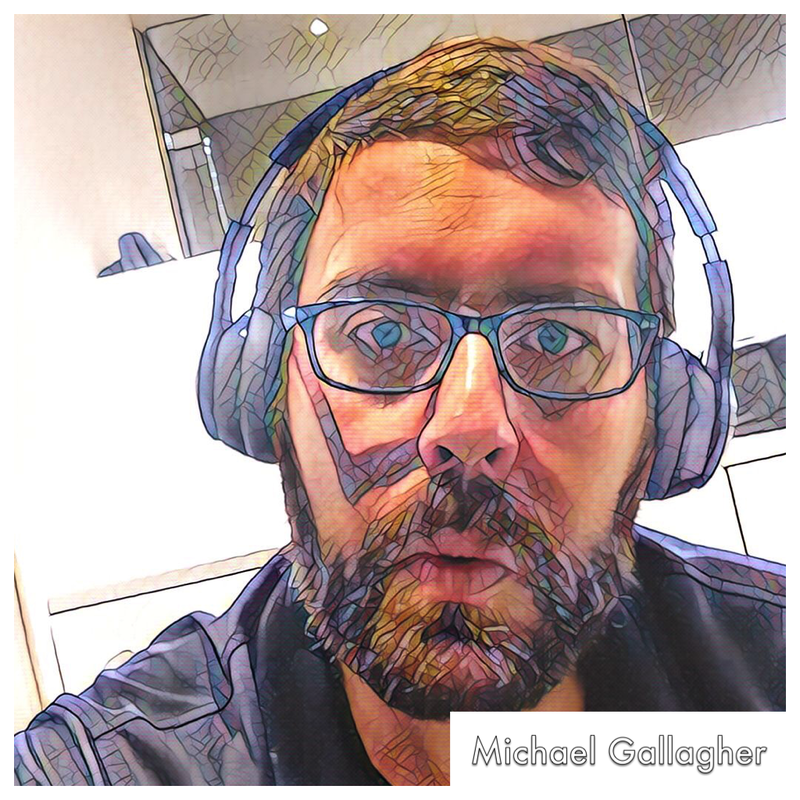 Michael Sean Gallagher by http://michaelseangallagher.org/ is licensed under a Creative Commons Attribution-ShareAlike 3.0 Unported License. I just wanted to thank you for your kind comments about an article I did a couple of years ago. I I do a lot of research using JSTOR so it was kind of surprising to see you are associated with them…..again, thanks for the comments. That is wonderful to hear Robert! I find myself even at work looking up articles of some historical mention of Korea as the history is so incredibly fascinating. And please let me say that your essays are absolutely wonderful. I read each one with great enthusiasm and sincerely hope that someday you collect these all in a book (unless you already have.) I read both you and Andrei Lankov whenever something new appears. Do you have a website that collects this sort of thing, essays and observations? Very proud to hear you use JSTOR; it is quite a chunk of data for sure. I do miss Korea so please do enjoy Robert. All my best and please keep writing! Excellently executed & informative blog, thank you. Not sure how to contact you other than via comment. Posted a comment on the Aksum page, but was it too much like an ‘advertisement’? spam? Am just curious for feedback — as the message was deleted (no big deal). Anyway, apologize if it appeared that way. Also use JSTOR & Aluka frequently. Have also spent time in Korea — so appreciate your efforts on many levels. Hello there Deborah. I was a little slow in approving your original comment there, so my apologies. You should be able to see it now. God blesse Ethiopia Woefully yes!!!!!!!!!!!!!!!!!!! I wonder if you would consider a link to http://www.jobs4development.com/. I helped to design the site myself, and hope that it will prove a simple but effective tool for finding jobs in the international development sector. I cant find another way to contact you, so i just try it here. I would like to use a picture you made in Tunis for my school-essay about the chances for democracy in Tunisia. Probably never been published, but anyway. UNder this picture is standing Copyright: Micheal Sean Gallagher so i think should ask you. Terribly kind of you to let me know; it really is encouraging to hear feedback like this as writing can be such a solitary activity and I generally have no idea how this will all resonate. Great to hear and I will continue to post as often as possible whenever the creative thoughts are bouncing around in my head. Take care and all my best! Glad to browse your website. Did you publish any papers on peer-reviewed journals? I guess you need to update this introduction here, as you intend to focus the study in Korea, right? If you intend to do research in China, I’ll try my best to help you. If you want to come to China (Beijing) for tourism, you are very welcome as well, my friend! Good point, Zhao! I need to update this page. I have updated this page at least a dozen times in the last 7-8 years or so. I will certainly look you up in Beijing when next I travel there. That is a promise! How are you getting along with your research? I would like to get in touch with you regarding University of Ibadan library pictures on your flickr page. Please email me so that I can explain more. I’m part of a national research on the adoption of m-learning in my home country Oman. Part of this, we plan to go for a visit to (a) m-learning center(s) around the world. from your blog, i saw that you’re familiar with the s. Korean experience in this domain. would please recommend some places to visit or some contacts who can be of help to us. Pleasure to meet you. Happy to recommend a few places in Korea that might interest you, but I must say first that mobile learning in Korea is viewed differently as part of an elearning structure, rather than as a separate thing. Feel free to email me at gallagher.michaelsean@gmail.com and we can discuss. Happy to help if I can! I wasn’t quite sure how else to contact you. Many thanks for this, Mike. Let me give it a read and see what if I am able to submit by that deadline. All my best!